Rookie contracts are slotted just like in the NFL. 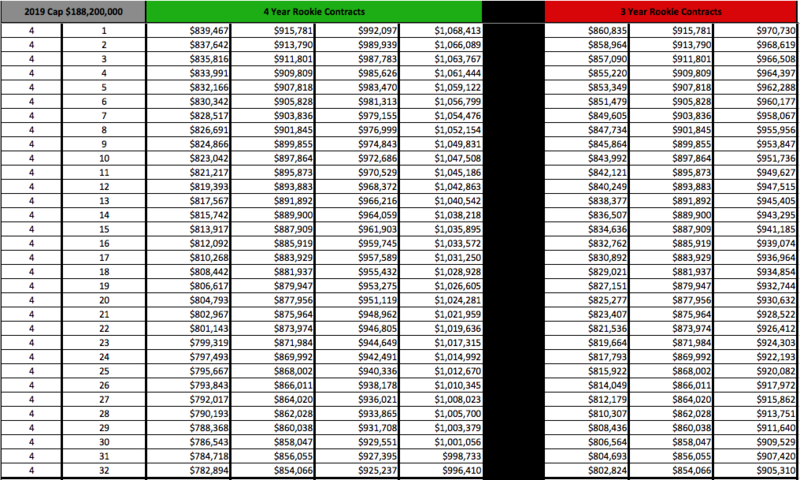 The values below show the slotted contracts for rookies drafted in 2019 based on draft position for a 32 team league and a 5 round Rookie Draft (the maximum possible settings). 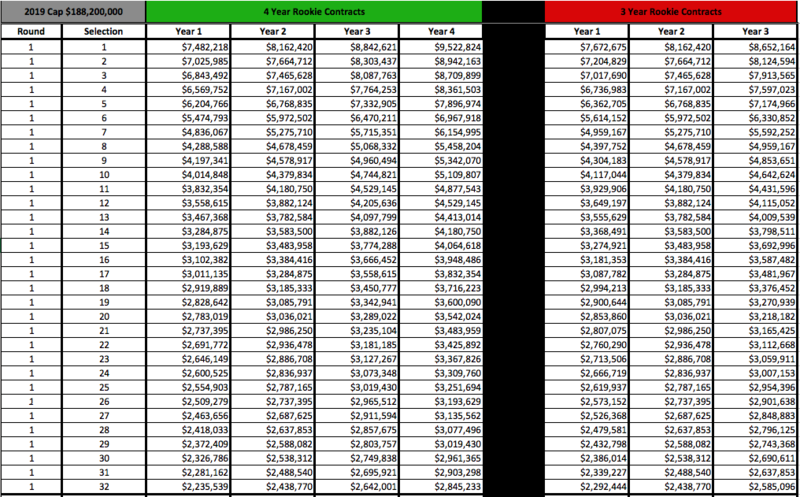 However, no matter the number of teams in your league, you can determine the rookie contract values from the table below. 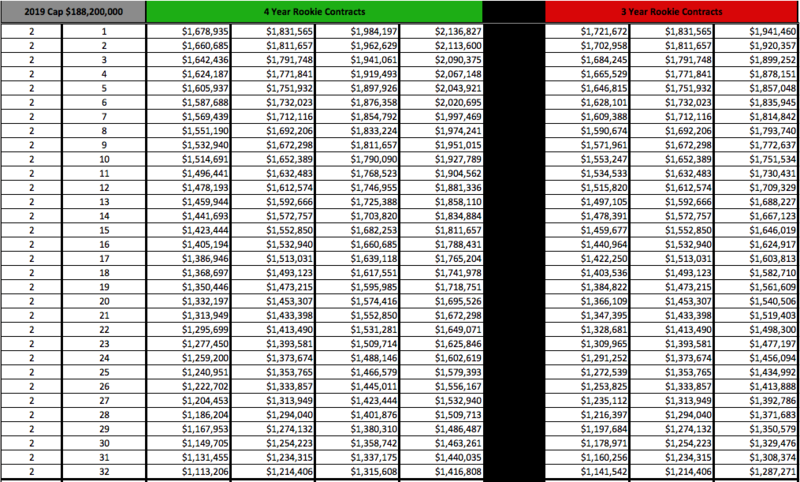 For example, if you are in a 10 team league with a 3 round Rookie Draft, the contract values will just be the first 10 values for each respective round listed below (i.e. selection numbers 1-10 for each respective round below). 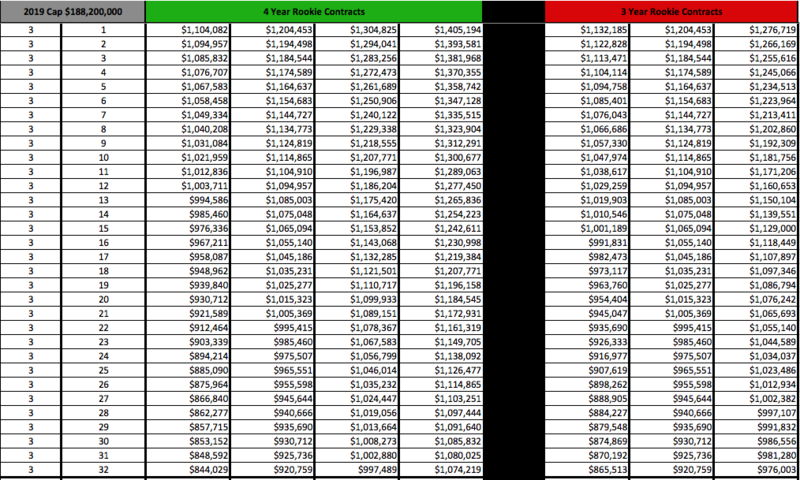 Thus, no matter the number of teams, the first draft pick of every round will be awarded the same contract value.